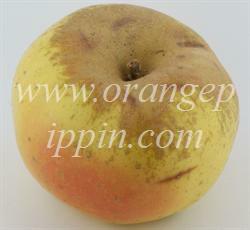 Inspite of the name, Reinette du Canada is an old French semi-russetted apple variety. 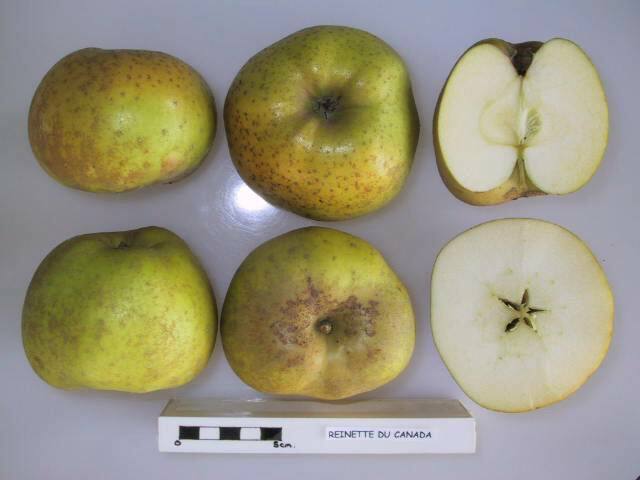 It is one of the most widely-grown russet varieties in France, readily available in supermarkets and village markets simply as "Canada" - although this term is also used for the more russeted Reinette Grise du Canada. The extent of russeting is usually fairly light, and the underlying light yellow/green skin is readily visible and may be flushed red. Most russet apples have culinary qualities, but whereas the main English russet apples are usually regarded as dessert apples, Reinette du Canada is primarily a culinary apple.